EINDHOVEN, NETHERLANDS - HighTechXL is bringing together the world’s most advanced research center and Eindhoven’s Brainport ecosystem. Nikhef and HighTechXL have just announced a new collaboration with Geneva-based CERN to recruit or form startup teams capable of turning CERN technology into companies. At CERN, the European Organization for Nuclear Research, physicists and engineers are probing the fundamental structure of the universe. They use the world's largest and most complex scientific instruments to study the basic constituents of matter – the fundamental particles. 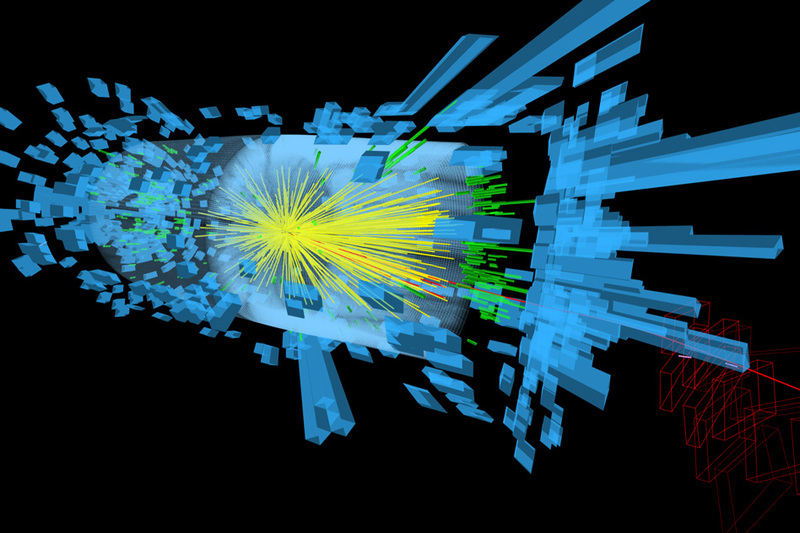 CERN research has led to innovations as diverse as the World Wide Web and the discovery of the Higgs boson. CERN is represented in the Netherlands through Nikhef, the national institute for subatomic physics. “The Brainport region and its density of ultra-high-tech companies such as Philips and ASML is the obvious place to bring together innovators and CERN technology. The Eindhoven region is very good at taking advanced technology and turning it into businesses. There is a perfect match between CERN and Eindhoven’s high-tech industry knowledge base and competencies,” said Dr. Jan Visser, liaison officer for CERN and Nikhef executive. HighTechXL – Eindhoven’s high-tech accelerator – will kick off this new technology-transfer collaboration with a CERN hackathon set for 2 July in Eindhoven. “The collaboration unlocks the hidden commercial potential of disruptive CERN technologies. It provides a unique opportunity for high-tech industry experts who have ever dreamt of creating their own company – and were waiting for the right opportunity – to become a founding member of a new fast-growing high-tech company,” said HighTechXL founder Guus Frericks. The hackathon will be a community-driven effort to explore and select the targeted application areas. As part of the process, the hackathon will create opportunities for industry experts to apply to form founder teams around breakthrough CERN technologies. After the teams are identified, the formal accelerator program begins in September and finishes in December before Christmas. CERN has member states, who make a contribution to the capital and operating costs of CERN’s programs and, together with a number of associate members states, they run CERN and study the basic constituents of matter. In 2012, CERN adopted CERN Easy Access, a technology transfer initiative to make it easier for businesses and entrepreneurs to access intellectual property generated by CERN research. CERN funds and administers a number of research centers and projects, including two linear accelerators and several colliders including the Large Hadron Collider. But it’s in the medical technology domain that physics research, including the work done at CERN, CERN has had a major impact, with magnetic resonance imaging, positron emission tomography and other technologies. “In the medical world, if it weren’t for all the physicists, there would be a lot less innovation,” said Dr. Visser. The National Institute for Subatomic Physics, or Nikhef, is based in Amsterdam. Nikhef is the Dutch organization that carries out research into the elementary building blocks of our universe, their mutual forces and the structure of space and time. Nikhef partners with CERN on the Nikhef-CERN Business Incubation Center. HighTechXL is the Netherlands’ premier high-tech accelerator, focusing mostly on hardware since its inception in 2014. HighTechXL is an initiative of the Eindhoven Startup Alliance with ASML, Philips, NTS group, High Tech Campus Eindhoven, ABN AMRO Bank, Brabantse Ontwikkelings Maatschappij and EY as its members.